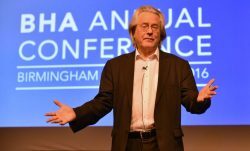 Almost 500 humanists gathered in Birmingham’s International Convention Centre at the weekend for the country’s largest annual celebration of humanist thinking and values: the British Humanist Association (BHA) Annual Conference. Birmingham’s Annual Conference was the BHA’s biggest and most successful conference yet, bringing together humanists from all parts of the UK, as well as from further afield, for a weekend of lectures, debates, discussions, and comedy from a distinguished cast of writers, scientists, and entertainers. Delegates were welcomed to the City of Birmingham by the deputy to Birmingham’s Lord Mayor, councillor Mike Leddy, who congratulated the BHA on reaching its milestone 120th anniversary and celebrated the role played by humanists in shaping British culture and identity in that time. His address was followed by an opening plenary session given by BHA Vice President A C Grayling, who set the tone for the weekend with a stimulating investigation of the ancient origins of Humanism as a way of thinking about the world, as well as the potential for Humanism to foster a more peaceful society. Also explored were questions of mind, body, and the wider universe; the extent to which political ideologies, such as Communism, could be usefully compared with religions; the vital work of the BHA’s community services department; how advances in science are completely reshaping our understanding of both history and cultural identity; and the imperative for humanists to reject cultural relativism and be unapologetic in championing the equal rights and dignity of everyone. Delegates also managed to raise nearly £6,000 towards the Faith to Faithless project, supporting those leaving religion behind. 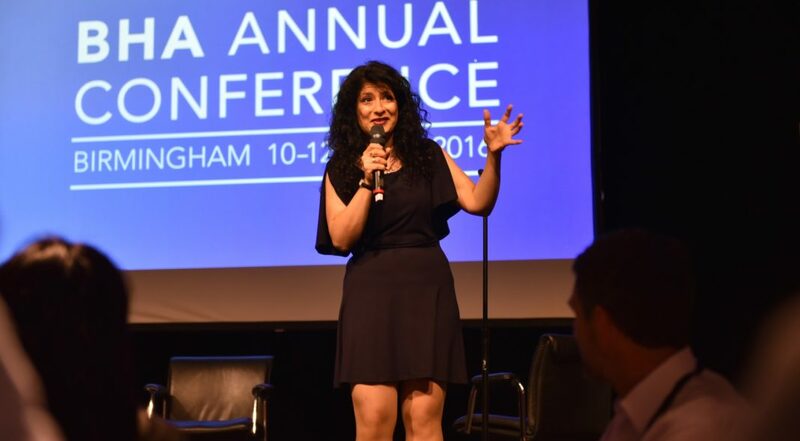 New BHA President Shappi Khorsandi brought events in Birmingham to an end with an emotional closing speech. ‘As the daughter of an Iranian refugee who fled a religious state,’ said Shappi, ‘becoming the President of the British Humanist Association has been very poignant for me.’ Warning against complacency, she spoke of how witnessing Iran’s transformation from cosmopolitan secular state to full-blown theocracy sharpened her appreciation of the rights and freedoms we enjoy in Britain, and the necessity of the BHA’s work towards ensuring secularism and human rights. 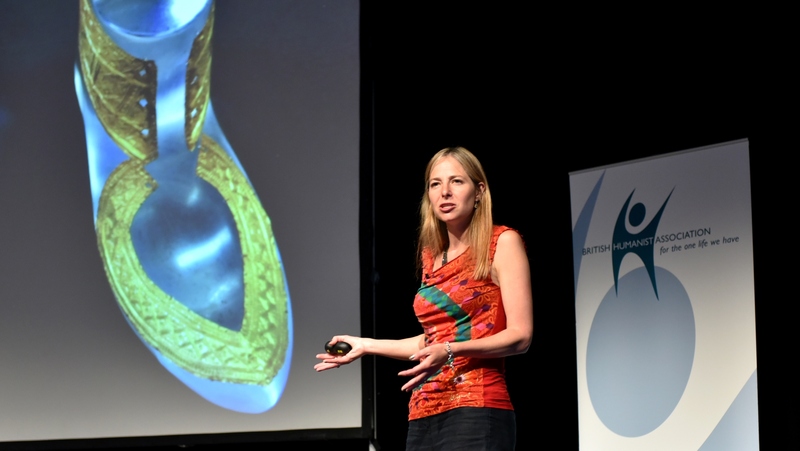 Conference sessions were filmed and will be uploaded to the BHA YouTube account at a later date.